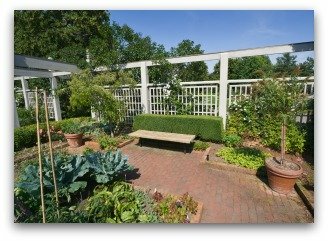 Are you looking for vegetable garden fence ideas? 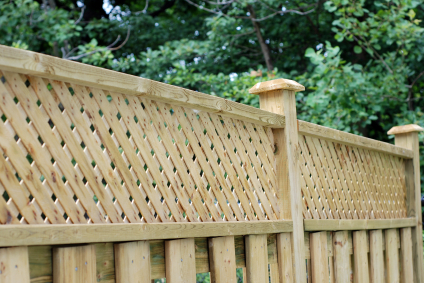 Watch our video below to get some great fencing ideas! Choose from wrought iron, wooden, picket, vinyl, or a growing hedge for creating beautiful or unique garden fencing! A garden fence can play a necessary and beautiful part in keeping your vegetable garden growing in line! 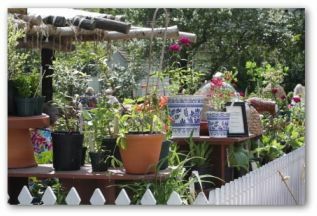 A well built garden fence offers support to growing plants. 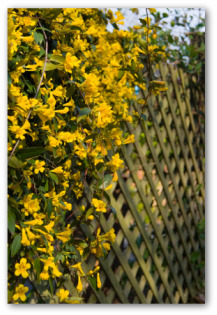 Vining or climbing plants benefit from structures like fences to climb on for support. 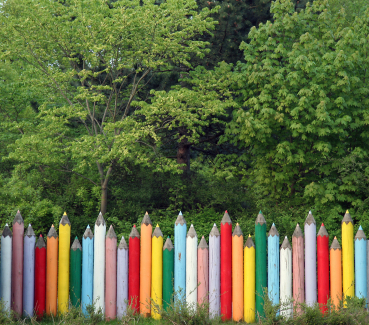 A garden fence can add style to your gardening spot. 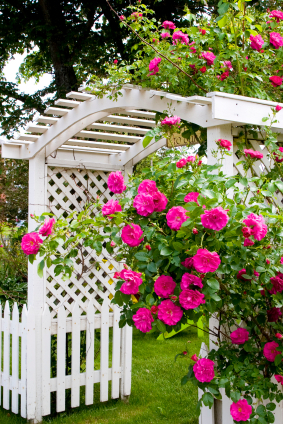 White picket fences are ideal accents in adding charm to the landscape. Instead of constructing the type that Tom Sawyer was unhappily made to whitewash, there are now picket fences designed from durable PVC! Aside from being decorative, these enclosures are maintenance free. Once the vegetable garden is fenced in, the fencing is guaranteed not crack, fade, peel, rust, rot, or ever need painting! Brick or stone walls are decorative, and protect your garden area from wind and the elements. Wrought iron also makes a lovely and long-lasting garden fence. Be creative! 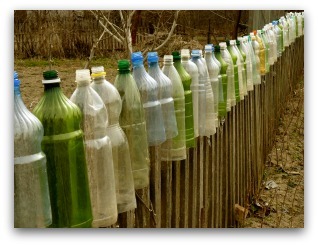 Recycles materials can be used to make the attractive fences with a little imagination and effort. Avoid using any fences constructed of pressure treated lumber which is saturated with toxic chemicals. The toxins make the wood a potential hazard to children and pets, making its use unsuitable in an edible garden. In many areas a vegetable garden fence is needed to defend the plants from wildlife such as deer, opossums, rabbits, skunks, and turtles. As the saying goes, good fences make good neighbors! A fence may be your only defense against damage from woodland invaders like deer, groundhogs, or raccoons. If there is no urgency to construct a barrier, a good idea is to start small and decide from there just how popular your garden is with the natives! Do not be intimidated by the wild animals scheming to find their way in to your garden. 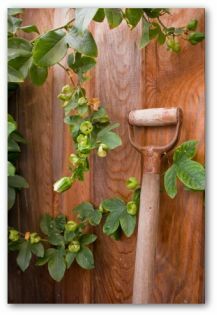 Installing a vegetable garden fence is very easy to do! It may be necessary to install a vegetable garden fence tall enough to keep out the deer and bury parts of it underground against critters like the groundhog. At times even tame creatures such as dogs or cats must be kept out of your garden. No one really wants their garden patch to be a free restroom for the neighborhood pets! Erecting a light colored fence in the sunniest part of the site can reflect sunlight into shaded areas. Another option is wooden fences which also require fence-post setting. Wrought iron fences will add beauty while being virtually maintenance free. They are among the most expensive fences to install. Permanent structures will be reflected in the higher price.